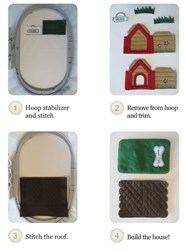 These Cozy Dog Suites are fun for the family to make! 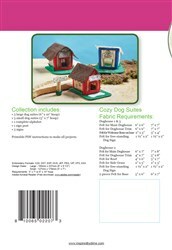 The embroidery is quick to stitch leaving more time for children to help you assemble the little dog houses. 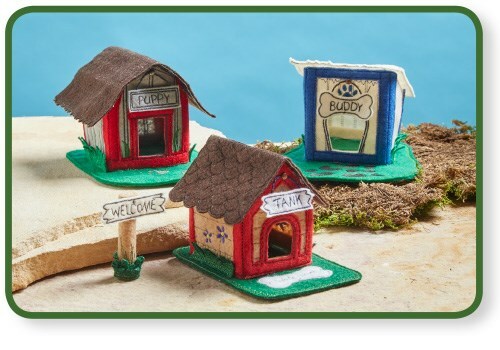 Personalize by adding your own dog's name. 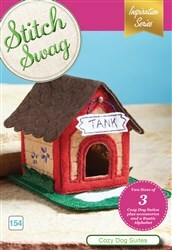 Use the dog house as a Christmas ornament. See beyond the dog houses and adapt to a Christmas village. So many options and sew fun to stitch!